ProSmoke is proud to be a monthly contributor to multiple Cancer Charities. Contributions are used for research and finding the cure. Get involved today! 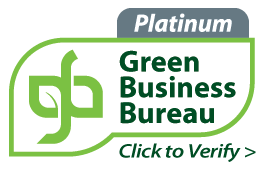 ProSmoke is the FIRST & ONLY company in the industry recognized as a Certified American Green Business by the Green Business Bureau. Enjoy the freedom of smoking wherever you’d like, whenever you’d like with smokeless electronic cigarettes from ProSmoke Store. The best smoke free cigarettes on the market, our electronic cartridges produce no real smoke, only water vapor – a virtually odorless mist that evaporates into the air within seconds, similar to the functioning of a humidifier. For that reason, you can still enjoy smoking your ProSmoke e-cigarette at all your favorite bars, restaurants, airports, and other locations. The ProSmoke smoke free cigarette is very convenient and easy-to-use! When you are ready to use it, simply put it in your mouth and inhale. The smoke free electronic cigarette automatically engages and turns off when done. There is nothing else to do but enjoy your smokeless cigarette – anywhere you’d like! How Does the Smoke Free Cigarette Work? ProSmoke smokeless cigarettes are electronic devices that vaporize nicotine, water, and flavor to simulate the feel and look of cigarettes. Our smokeless cigarettes produce vapor resembling smoke which after exhalation leaves a pleasant aroma that is quickly odorless upon dispersal. Because the smoke free cigarette does not burn tobacco, it maintains a pleasant environment for non-smokers, allowing for indoor smoking. Most users of ProSmoke smokeless cigarettes will tell you the flavor or taste of our products closely replicate cigarettes and cigars. Our electronic cigarette cartridges come in traditional flavors like Classic Tobacco or try some of our other delicious flavors such as cherry, vanilla, chocolate, coffee, or menthol – they’re sure to tickle your taste buds and leave you 100% satisfied! Try the best smokeless cigarettes in the industry and take a step in improving your habit as over a million of our customers already have (some using e-cigarettes as a true full alternative to real tobacco)! Try ProSmoke today. WARNING: This product is intended for use by persons of legal smoking age, and not by children, women who are pregnant or breast feeding, or persons with or at risk of heart disease, high blood pressure, diabetes, or taking medicine for depression or asthma. If you have a demonstrated allergy or sensitivity to nicotine or any combination of inhalants, consult your physician before using this product. This product is sold purely for recreational purposes - it is not a smoking cessation product and has not been tested as such. You must be over the legal age in your state to buy or use this product. Nicotine is highly addictive and habit forming. Keep out of reach of children. This product contains Nicotine, a chemical known to the state of California (Proposition 65) to cause birth defects or other reproductive harm. No statements made on this site have been evaluated by the Food and Drug Administration. This product is used at ones own risk and is not intended to diagnose, treat, cure, or prevent any disease.